Right now, we're making a pretty solid argument for LED lights purely based cost advantages but that's going to change very shortly. In our comparisons, we're looking at an assumed availability of incandescent and fluorescent light bulbs but that's not entirely correct. There are laws on the book which essentially schedule the phasing out of CFL's, fluorescents, and incandescents that don't meet certain energy efficiency and disposal safety rules. LED's lights pencil out well not but very shortly, they will be the only game in town. Let's look at the proposed phase out of other bulbs and more importantly, what you need to do in order to lock in your savings now before the there's a run on the market. We'll also share with you our advantage for impending onslaught of LED lighting over the next few years. First, let's look at the phase out. In the US, most of the activity came to fruition in 2007. Some States had already mandated phase-outs of incandescent lights but as part of the Federal Energy Independence and Security Act of 2007, efforts at the State level have been supplanted by a Nationwide law addressing light bulbs. Essentially, any light bulb in a certain common lumen range (measure of the amount of light produced) be 30% more efficient than the incandescent lights of 2007. The range is from 310 to 2700 lumens which encompasses the majority of common light bulbs. The scheduled phase out is between 2012 and 2014 which is around the corner for company planning perspective. Interestingly, CFL would meet the requirements of the this law based on efficiency but most incandescents would not. Incandescents still make up the bulk of lighting supply in the U.S. so this law has a significant impact. The average incandescent bulb lasts about 2000 hours anyway so a typical bulb in a non-residential space is being replaced every 240 hours. At some point very soon, you won't be able to find the incandescent bulbs for the replacement anyway. The fluorescents are set to be phased-out separately for certain fixtures. For example, the T12 fixture is scheduled for phase out in 2012 and the ballasts are already not available for replacements as of 2010. As the mercury and phosphorus disposal and waste issues only magnify, the availability of fluorescent (and eventually CFL's) will be come less and less. To some extent, it's a function of the bulb manufacturers seeing the writing on the wall and transitioning capital and production to next generation lighting such as LED. The T12 is the most common type of fluorescent on the market so the writing is on the wall. What about CFL's? At some point, the buying public will realize that the CFL is merely a half way step towards LED for many reasons. First, people will look at CFL's because they are less expensive than LED's but only in terms of the initial bulb purchase. 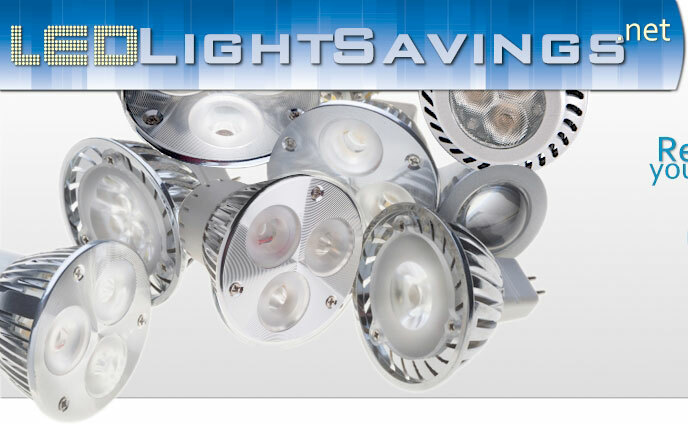 Over a 5 year window (our proposed LED life), the cost advantage for LED's is significant when compared with CFL's. That's pure dollars and cents. LED's also do not have mercury and phosphorus that CFL's increasingly bring to the equation. Let's not forget that CFL's quality or color of light is poor when compared to our current generation LED's with color tuning and they also respond poorly to cycling (turning on and off) over the life of the bulb. It's hard to argue for a bulb that saves only part of the way when a higher initial costs saves you considerably over a longer period. We've compared the individual LED bulbs to both CFL/fluorescent (going) and incandescents (gone) to help educate people.